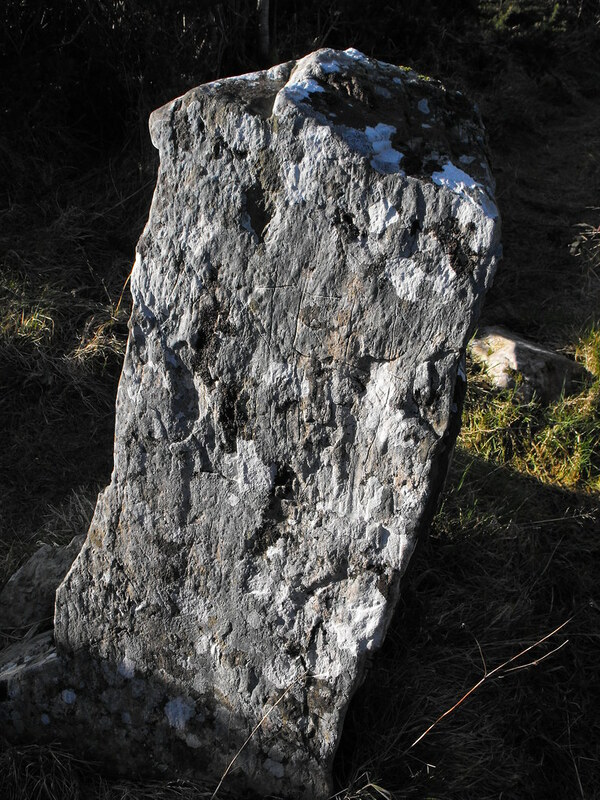 The Standing Stone: Coolbaun, Standing Stones, 'The Graves of the Leinstermen,' Co. Tipperary. 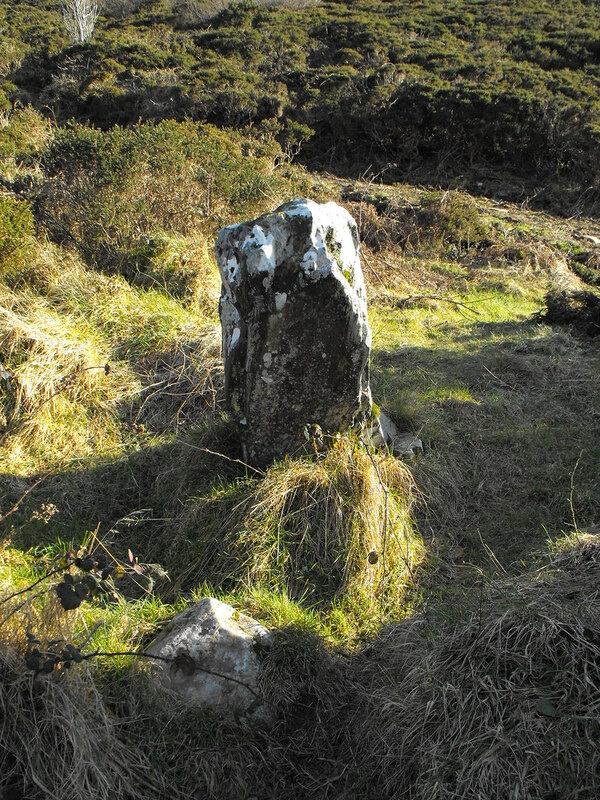 Coolbaun, Standing Stones, 'The Graves of the Leinstermen,' Co. Tipperary. 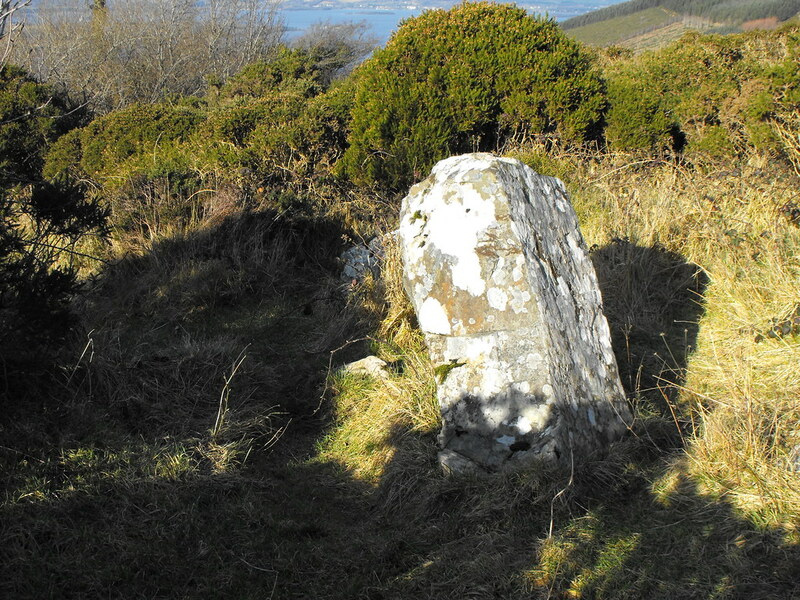 Location – On Tountinna Hill in the Arra Mountains near Killaloe and Ballina and overlooking Lough Derg. Description and History – This has to the place with the most impressive name and the most unimpressive remains in Ireland. 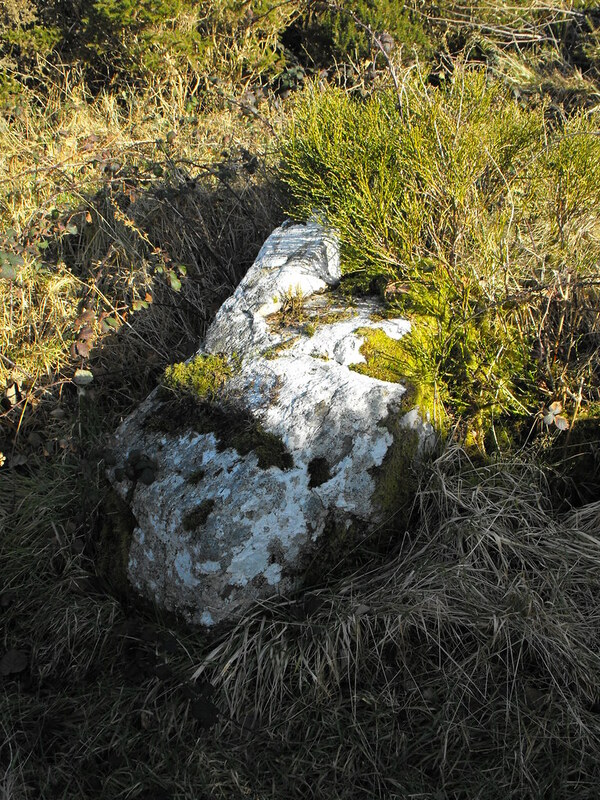 Driving towards this site, situated in the Arra mountains, you are bombarded with large brown signs with ‘The Graves of Leinstermen’ in big block letters. When you arrive at the location you are then left with a game of hunt the standing stones. There is nothing to indicate where they actually are. I assumed that they were in the field below me which was open and full of glacial debris. Up the mountain (Tountinna) is full of gorse and nearly impassable yet, that is where the stones are. Walking along the road in desperation I found a small opening in the gorse which looked well trodden. 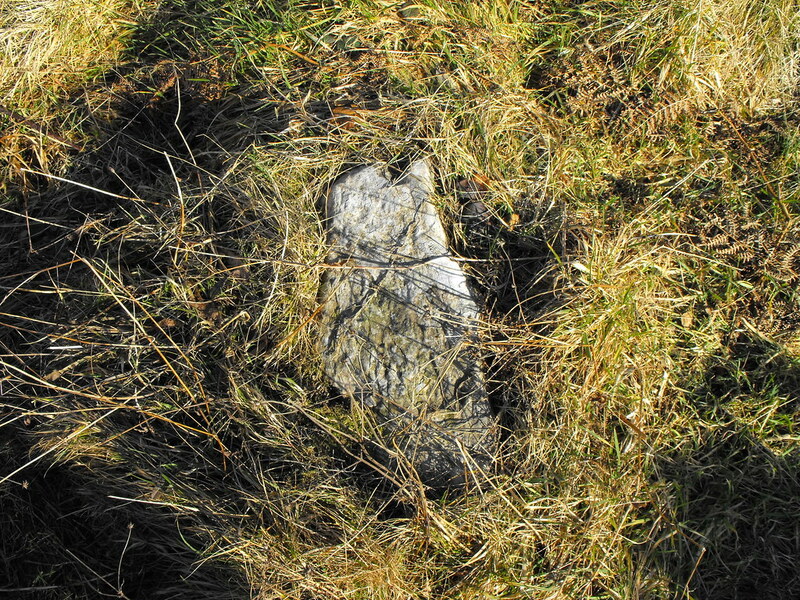 This led to an opening in which was a small, 1m high, standing stone. 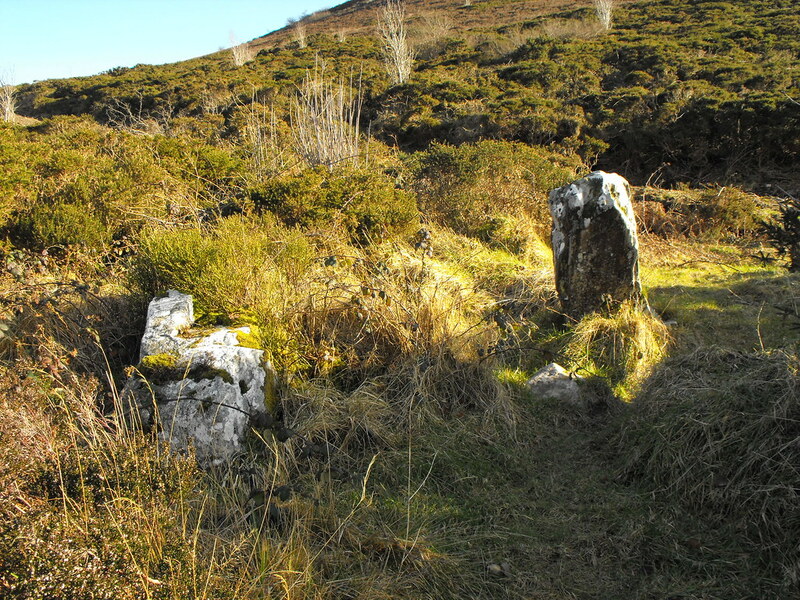 This is the Graves of the Leinstermen. 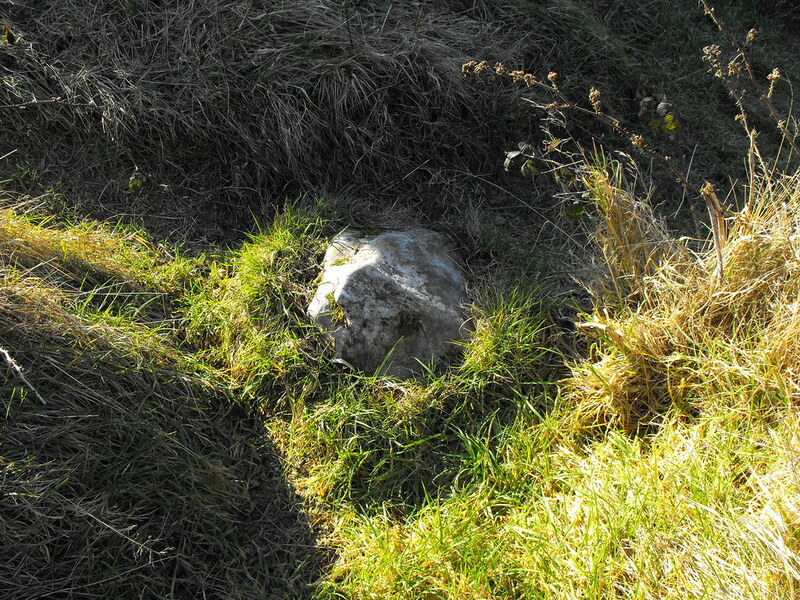 There are several smaller stones located around but many of these are overgrown. The build up is really not worth the return and the best thing about this site is the stunning views of Lough Derg nearby. There is an interesting Legend about the name of this site. The King of Leinster was to attend a wedding in Limerick and had to cross enemy territory to get there. Allied with Vikings and with a contingent of men they crossed Toutinna to avoid detection. They were, however, found and slaughtered on the hillside and buried under the stones. Difficulty – It’s high up but easy to drive to but actually trying to find the stones can be a little tricky.